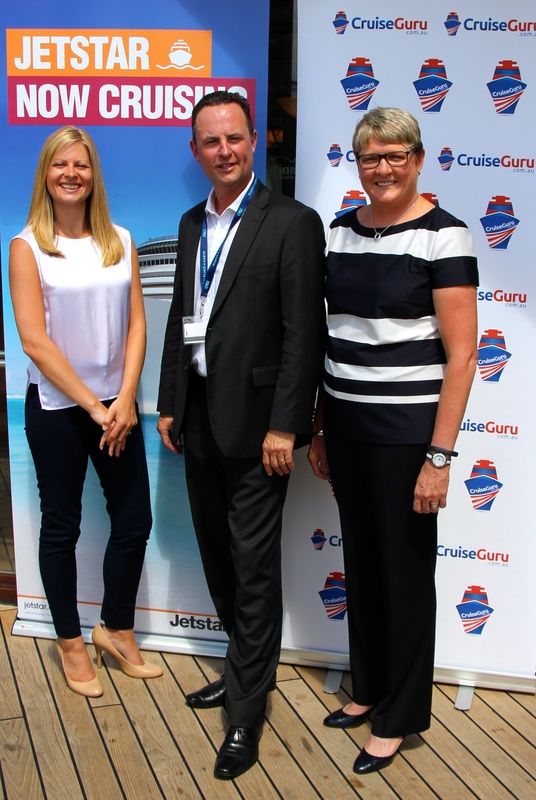 Jetstar and Cruise Guru announced an exciting new partnership on board P&O’s cruise ship “Pacific Jewel”, recently in Sydney. This new partnership will make it easier for holidaymakers wanting to book a flight and cruise on the one website. Jetstar customers are now able to book their cruise holidays online at Jetstar.com using the unique technology of Cruise Choice, powered by Cruise Guru. They can choose from a full range of domestic and international cruise itineraries with live availability and instant confirmation. Cruising is the fastest growing sector in the travel industry and this new partnership should attract even more people to experience the joys of cruising. Thailand is one of the most popular destinations for tourists from around the globe. Offering a vast range of attractions from historical monuments, great beaches, vibrant nightlife, relaxed lifestyle, fantastic shopping, a broad range of accommodation from the most luxurious hotels to the most humble apartments, Thailand manages to provide the holidaymaker with a range of experiences that appeal to all age groups. Not just the domain of the young or the old, whatever it is you are looking for, you will probably find it in Thailand. With visitors arriving year round, rather than on a seasonal basis, as is the case with some tourism hot spots, there never seems to be an “off season” in this magical country. One of the standout attractions in Thailand is their cuisine, which seems to have universal appeal. 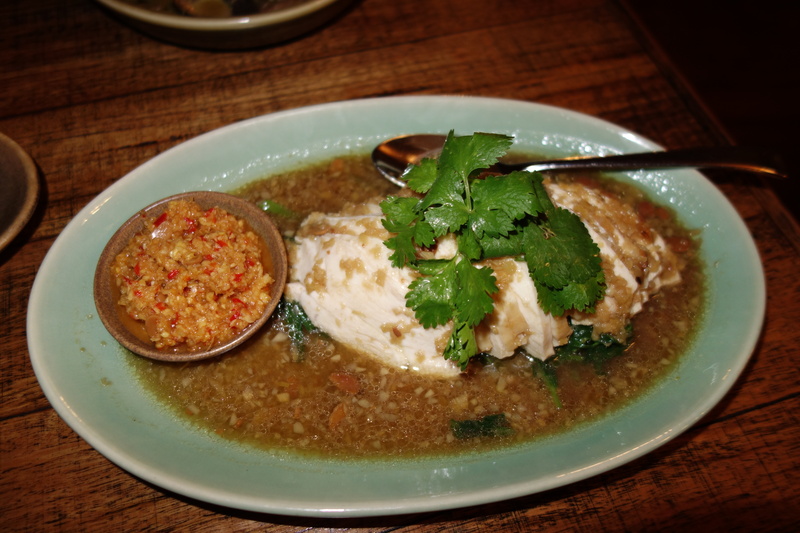 So popular is their cuisine that virtually every city in the world has a Thai restaurant and Sydney is no exception, with a large number of restaurants serving this cuisine in nearly every suburb. In fact, one could go as far as to say that there is no need to go to Thailand to get authentic Thai food. 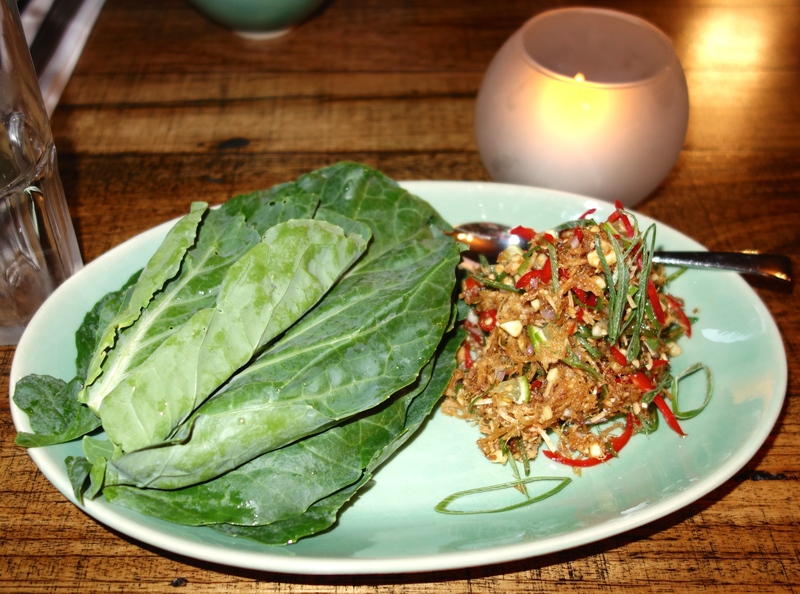 Close to the heart of Sydney, in Surry Hills, is one of the best Thai restaurants I have found. 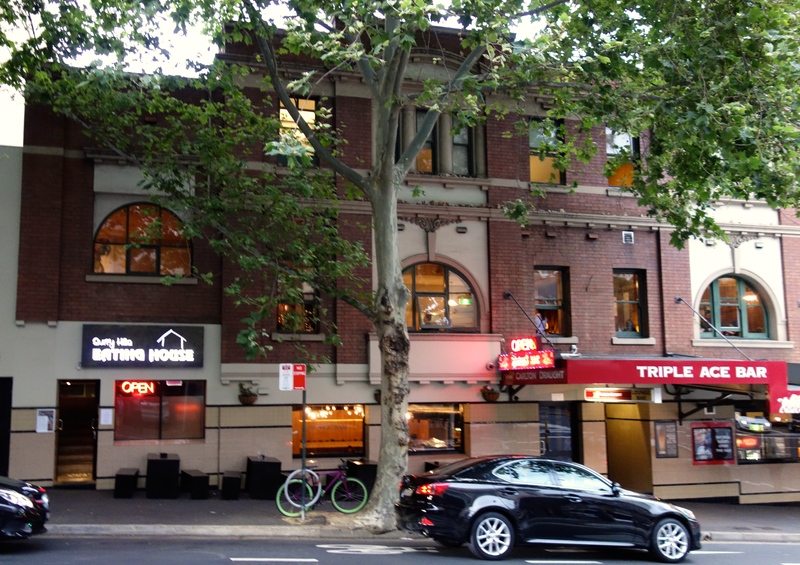 Located on the corner of Elizabeth & Campbell Streets,“The Surry Hills Eating House” offers the diner a truly authentic Thai experience. The atmosphere is relaxed in this minimalist venue, with pleasant Thai serving staff who are very welcoming and extremely helpful when offering assistance in menu choices. When I dined there recently, I asked our waiter to recommend several dishes for us to try. One of the criteria was that I did not like too much chilli. Our two entrees, which we shared, were very tasty. I especially enjoyed the Pak Mor Youan of steamed minced pork and spring onion wrapped in rice paper. The second entrée, Mieng Ka Na, sweet and sour spicy flossy pork, green lime, ginger, eshallot and fresh chilli served with green Chinese broccoli leaf, was just a little too hot for my taste, but perfect for my partner, the broccoli leaf seemed to break down the heat. We also shared the two mains. Gaeng Kiew Wan Nua, a green curry of slow cooked beef served with roti was excellent, as was the Gai Pae Sa, Chinese Phuket steamed chicken with steamed fresh water spinach, ginger rice wine sauce and chilli ginger dipping sauce, so delicate and tasty. The portions were very generous so when it came to choosing dessert, we decided to share just one. The Steamed Taro With Durian Coconut Cream was a fitting finale for this superb meal. As I mentioned before, who needs to travel all the way to Thailand when such authentic cuisine is available in Surry Hills. 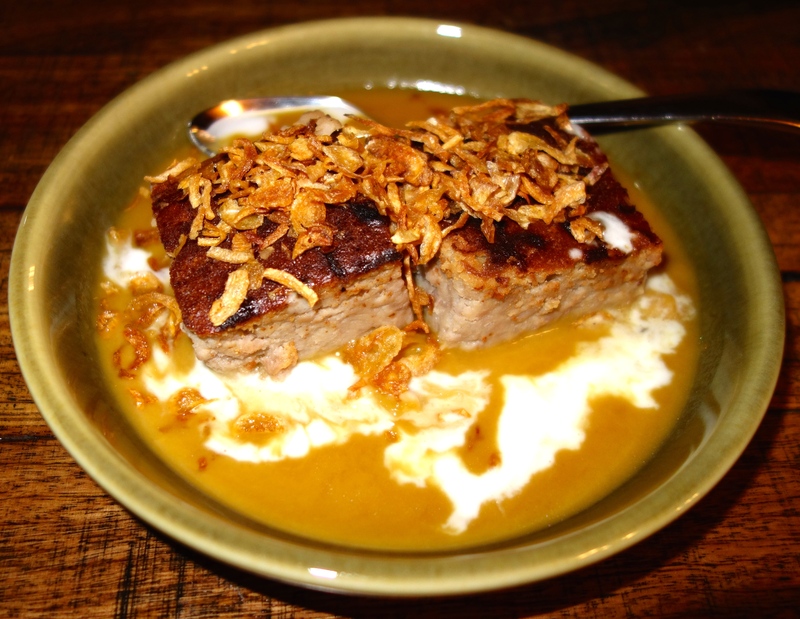 Chef Sujet Saenkham’s food for this restaurant is regional Thai, a lighter style with a delicious Chinese/Malay twist. The incredible life of John Olsen, one of Australia’s most famous artists, has been committed to print for future generations to enjoy, with the publication of his long awaited biography. 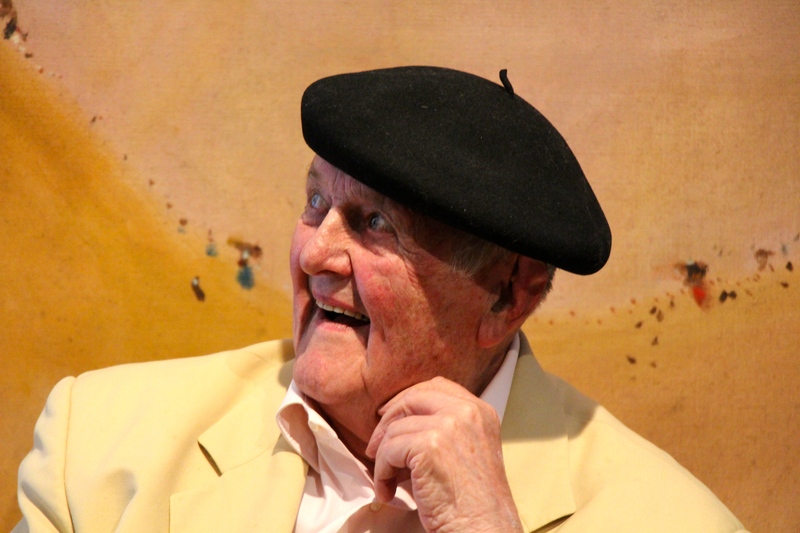 “John Olsen: An Artists Life”, written by Darleen Bungey, was recently launched at Woollahra’s OLSEN IRWIN Gallery by celebrated biographer, David Marr, who delighted the assembled crowd with his eloquent speech. The highlight of the evening was John Olsen’s speech in which he acknowledged his thanks for his long and interesting life. Dressed in an off white coloured suit, with his famous black beret completing the outfit, John Olsen certainly cut an elegant figure. When the speeches concluded, John Olsen took his seat to sign copies and write dedications for all those eagerly lining up, clutching the books they had purchased earlier in the evening. An apt quote from Robert Hughes appears on the book’s cover “Everything I know about painting I learned in John Olsen’s old Victoria Street studio in Kings Cross”. Guests mingled in the Gallery, admiring many of John Olsen’s paintings which adorned the walls. 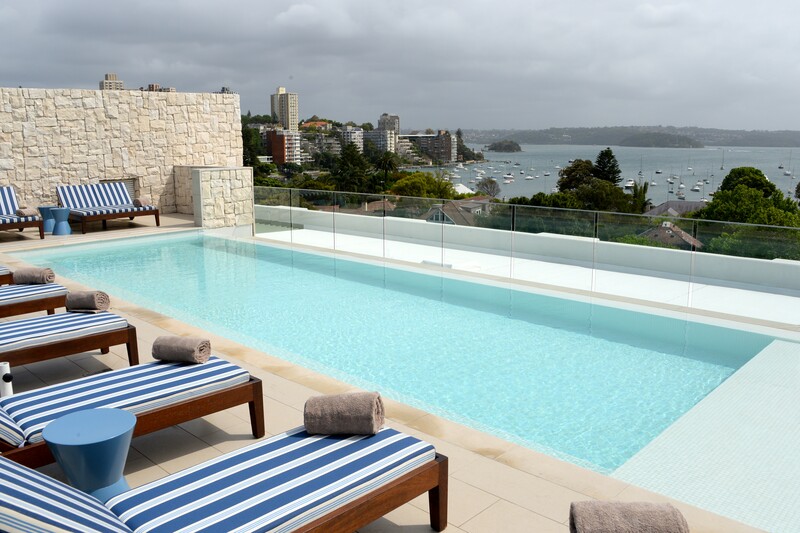 Double Bay in Sydney’s affluent eastern suburbs, has the honour of being the chosen location for the only five-star luxury hotel outside the city’s CBD. 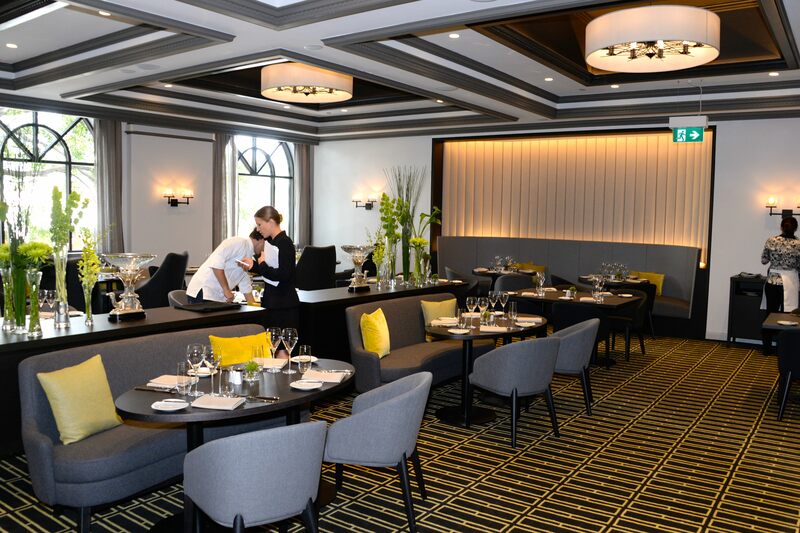 Known for its elegant boutiques, restaurants, cosy coffee shops and not forgetting its cosmopolitan lifestyle, this harbourside village is the perfect setting for the InterContinental Sydney Double Bay, which opened its doors on Thursday 6 November 2014. 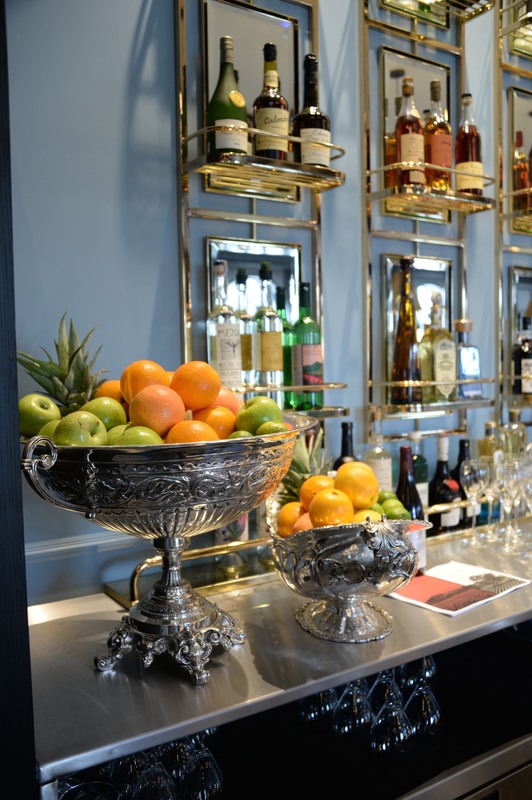 The opening marks the revival of the original building at 33 Cross Street, with restored features such as the grand staircase, Italian marble bathrooms, fireplaces and Parisian balconies, enhanced by a contemporary redesign. Its world-class team is standing by to welcome guests to this 140 room hotel. 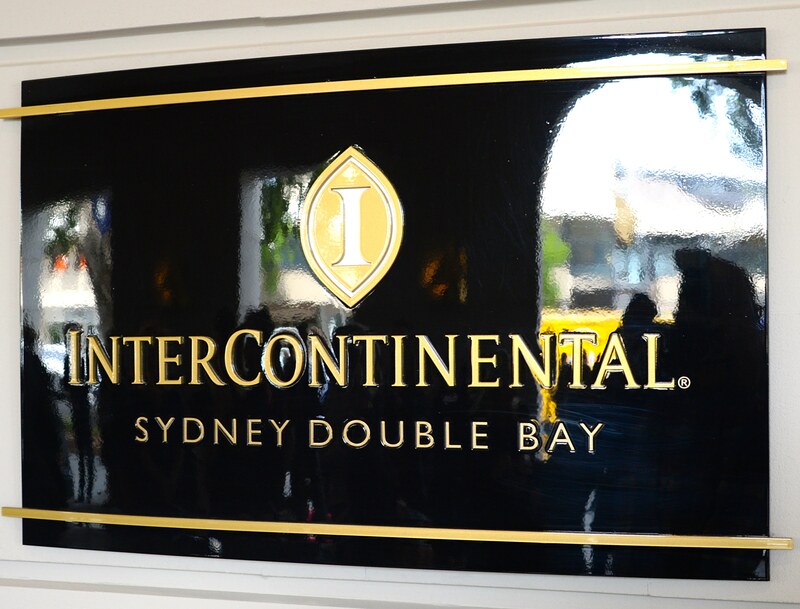 InterContinental Sydney Double Bay General Manager Frederic Brohez said the hotel would open all rooms, features and facilities, from the first floor to the sixth, simultaneously. “We are very excited to share this beautifully transformed property with the local community and visitors to Double Bay and Sydney. We have seen this hotel grow from a construction site teeming with builders, painters and tilers, into a stunning contemporary retreat replete with designer furnishings, kitchens packed with produce and equipment and more than 100 full-time staff ready to make our guests feel special” said Mr Brohez. The hotel’s Executive Chef, Julien Pouteau, conducted final menu tastings for destination restaurant Stockroom and Head Sommelier, Kabir Antoniak, completed the expansive list of local and international wines and the Stillery team has filled the seven metre long marble bar with last arrivals of rare and vintage gins. Among the hotel’s unique features are the Rooftop Pool and Lounge, the exclusive Club InterContinental lounge and French provincial courtyard plus Sydney’s only fully separate kosher kitchen. Shoppers will have to wait a little longer for the building’s ground floor retail precinct to be opened, with leased offerings to include Snap Fitness 24-hour gym, luxury Trumps Spa, Henley Wholefoods, Saké Restaurant & Bar plus a restaurant and bar by newly formed hospitality company The Group. Why not be one of the first to experience the InterContinental Sydney Double Bay, while at the same time soaking in the atmosphere of this sophisticated village. From 6 November 2014, the hotel has a special opening rate from $390 per night, including breakfast for two. As well as sampling the delights of all the hotel has to offer, it’s a great opportunity to stroll the tree lined streets of Double Bay and shop at leisure in the many beautiful boutiques or just sit in the harbourside park, gazing at the yachts and ferries on Sydney Harbour. 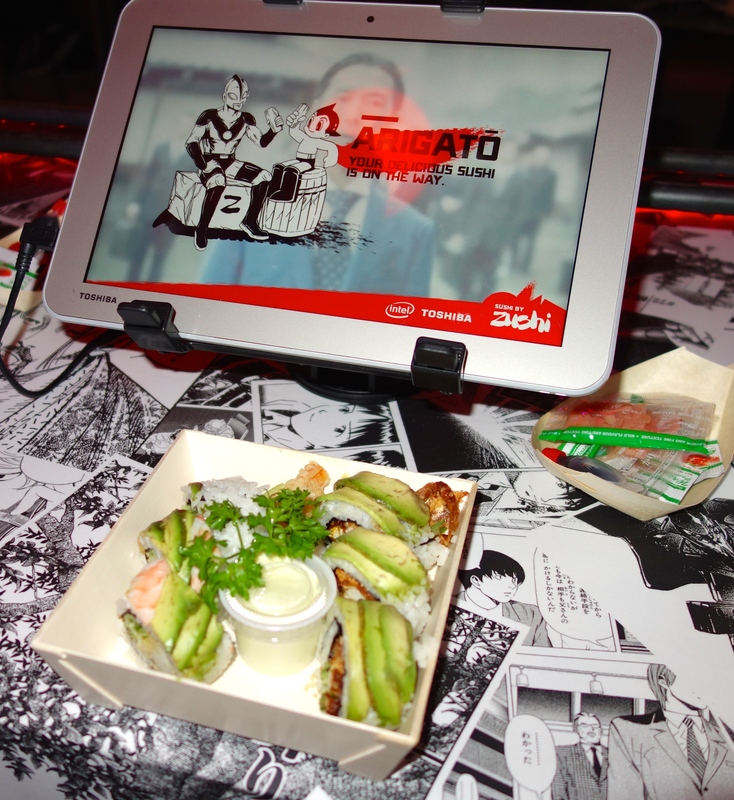 Toshiba and Intel recently held an event with a difference at a specially designed Pop-Up venue in Surry Hills, where sushi delivery was taken to new heights with the Seriously Japanese Pop Up Zushi Roller Coaster. Being greeted by two geisha lookalikes was a fun way to be shown to our seats, which were milk crates with planks on top. Orders were placed for the crafted sushi via the latest Toshiba tablets and 2-in-1 devices powered by Intel Inside. The bespoke sushi, designed by artisan chefs, was delivered to the table after a mind-blowing, break-neck journey via the exclusively created sushi roller coaster. 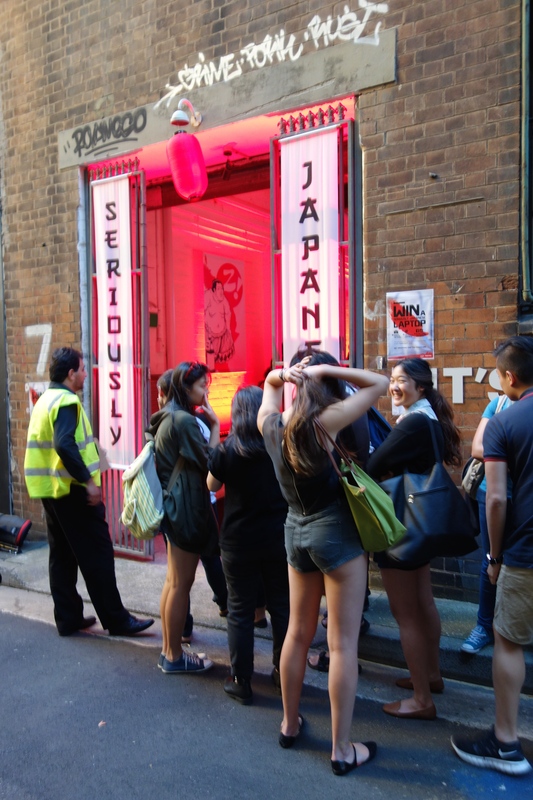 Guests waiting to enter the pop up venue were lined up almost the full length of the inner city laneway. Walking past the crowd as we departed, we were asked by those eagerly waiting, if it was worth the wait. Yes, we answered, it’s definitely worth staying in line to see such an imaginative and clever sushi delivery system, more impressive than the usual sushi train. The fact the sushi tasted so good was a bonus. 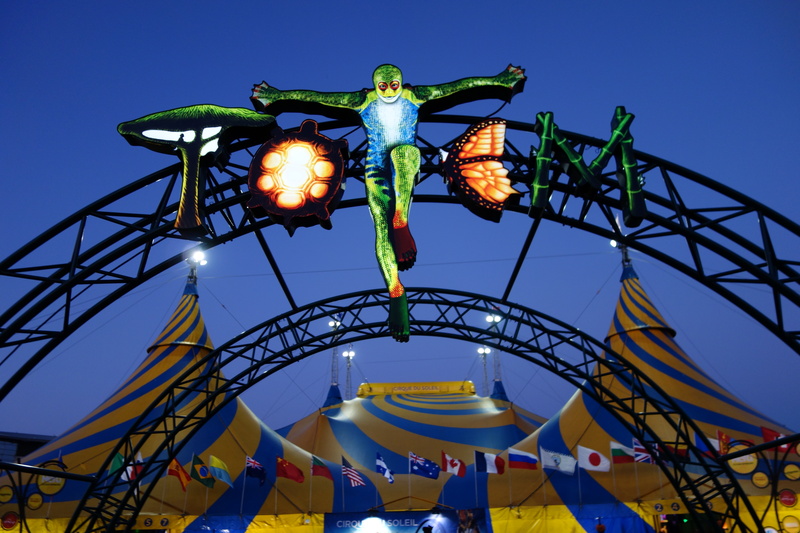 Cirque du Soleil’s awe inspiring production of TOTEM has now opened in Sydney at the Entertainment Quarter, Moore Park, where they have put up their trademark blue and yellow big top on the show ring. Featuring a cast of 46 acrobats, actors, musicians and singers from around the globe, TOTEM is an uplifting array of athleticism, comedy, heartfelt emotions and surprising visual effects. 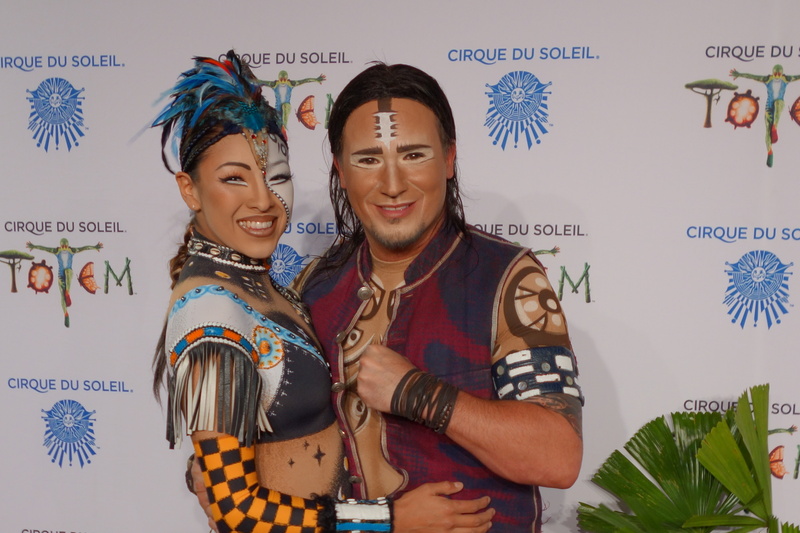 Incredible acrobatic feats are a highlight of this production, along with the sensational costumes that are a signature of Cirque du Soleil. One of the best performances in the production are the troup of females riding atop very high unicycles who never miss a beat as they catch items in bowls attached to their heads. Quite breathtaking. Adding to the excitement is “The Crystal Man” who drops down from the tent’s highest point and the two native American hoop dancers. Another mesmerising act was the visually beautiful trapeze duo who perform without a safety net. Written and directed by multidisciplinary artist Robert Lepage, TOTEM traces the human species from its original amphibian state to its ultimate desire to fly. The characters evolve on a stage evoking a giant turtle, the symbol of origin for many ancient civilizations. 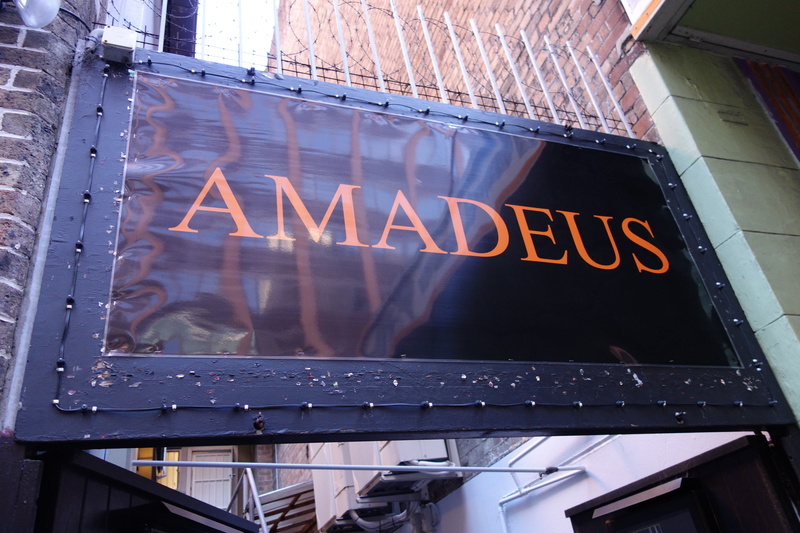 Amadeus, directed by Peter Shaffer, is currently playing at Sydney’s Genesian Theatre. This very cosy, small theatre, where every seat has a good view of the stage, is housed in a former historic church at 420 Kent Street. First performed at the Royal National Theatre in London in 1979, then made into a film which won eight Oscars, Amadeus tells the story of Antonio Salieri, court composer to the Emperor Joseph II and his jealousy of child prodigy, Wolfgang Amadeus Mozart, who composed his first concerto at four and his first symphony at five. Directed by Stephen Lloyd-Coombs, Amadeus has you spellbound from beginning to end, marveling at the acting skills of Nick Hunter as Salieri, who seems to be on stage for virtually the entire play. Jasper Garner Gore is delightful as Mozart, as is Nicole Wineberg playing his wife, Constanze. Salieri’s jealousy first emerges when Mozart appears at the Hapsubrg Court and he realizes that his skills are no match for those of Mozart. Salieri then makes it his mission to destroy Mozart’s reputation and bring him down, while at the same time, making his own star rise. The story is told in flashback and begins with Salieri confessing to the rumour, thirty years after Mozart’s death, that he poisoned Mozart. Amadeus is playing on Friday & Saturday at 8 pm, with a Sunday matinee at 4.30 pm until 29 November. The next production is The Winslow Boy, commencing 17 January 2015. You are currently browsing the SANDRATBLOG.COM blog archives for November, 2014.